What does do a barrel roll mean? Do a barrel roll is an internet meme that’s mainly used to caption images or gifs of people, animals, and objects doing a 360-degree turn (or trying to). It’s also a sarcastic response to questions being asked online. Where does do a barrel roll come from? The barrel roll itself is a real-life aeronautics maneuver where an airplane does a single turn along its longitudinal axis. The term started becoming popular in the 1920s, during the early days of dogfighting. 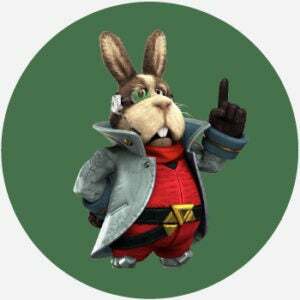 According to Know Your Meme, the phrase do a barrel roll comes from the 1997 video game Star Fox 64, where a character named Peppy Hare repeatedly insists that the player perform the maneuver to avoid being hit by lasers. The urgency of Peppy’s repeated demand inspired the internet meme. Sadly, as Discover’s Kyle Hill pointed out in April 2014, the maneuver shown in Star Fox isn’t a barrel roll at all, but a different trick called an aileron roll. To make matters worse, Hill went on to explain (at some length) that the aileron roll probably wouldn’t even help in defending a spaceship. The sarcasm present when someone tells you to do a barrel roll probably hinges on the perceived uselessness, or at least absurdity, of using the trick tactically. The meme was originally popular on the image board 4chan in the early 2000s. It was mainly used to caption images or gifs of people, animals, and objects either rolling completely around or unsuccessfully attempting to do so. Who uses do a barrel roll? This now-decades-old meme continues to be popular today, even beyond image boards. People still use it on social media as a catch-all answer. Sometimes it’s used to refer to someone or something literally rolling over in real life, and not just in an image or gif. People on the internet blurt it out as a non-sequitur. During live streams of video games, commenters occasionally try to demand that the person playing “do a barrel roll!” either to see if they’ll actually do it or just to be annoying. In November 2011, Google jumped on board the meme by adding an easter egg to their search results. If you type for “do a barrel roll,” the entire results page will rotate 360 degrees.